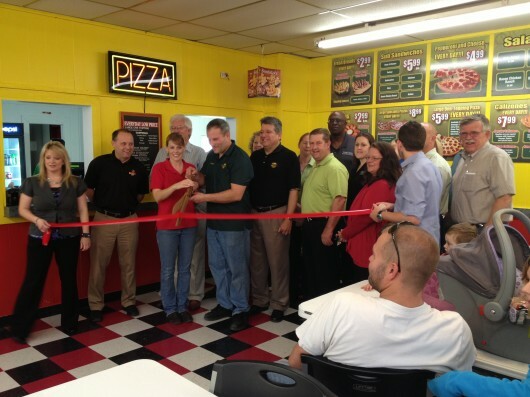 TULSA, OK – J&H Foods, parent company of CheeZies Pizza® and Simple Simon’s Pizza®, announces the opening of their newest CheeZies Pizza® at 418 North Broadway in Tecumseh, Oklahoma. CheeZies Pizza® of Tecumseh is owned and operated by Mardy and Marcie Bliss, and joins CheeZies Pizza® in nearby Shawnee, Oklahoma as their second store in the area. The store officially opened on Monday, December 3 with a ribbon-cutting ceremony that included local civic and business leaders.